Bonham, Mark S.. "Bank of Nova Scotia (Scotiabank)". The Canadian Encyclopedia, 11 January 2019, Historica Canada. https://www.thecanadianencyclopedia.ca/en/article/bank-of-nova-scotia. Accessed 18 April 2019. The Bank of Nova Scotia, commonly referred to as “Scotiabank,” is Canada’s third largest chartered bank. Incorporated in 1832, the bank has established itself as Canada’s most international bank through extensive operations throughout Latin America, the Caribbean, Central America and parts of Asia. It is also known as “Canada’s gold bank” because of its dominant position in bullion trading. The bank also operates three other business lines: personal banking, commercial banking, and wealth management. Scotiabank is a public company that trades on the Toronto Stock Exchange and the New York Stock Exchange under the symbol BNS and on the Trinidad and Tobago Stock Exchange under the symbol SBTT. In 2018, Scotiabank registered $28.8 billion in revenue and $9.1 billion in profit and held $998.5 billion in assets. The bank employs 97,629 people, who serve more than 25 million customers around the world. The Bank of Nova Scotia was founded in Halifax, by a group of local merchants and citizens who wanted a public bank, owned by shareholders and authorized by government, that could provide currency for trade transactions (see Money in Canada). The few other banks in Halifax at the time were all private banks, meaning they selectively chose their customers, favouring those with close family or business ties. On 31 January 1832, 184 citizens signed a petition requesting the House of Assembly establish a public bank, and the next day offers to buy public shares were received. After much debate, on 30 March 1832, the government gave its approval and the bank was formally incorporated. After some time spent organizing the bank, it officially opened for business on 10 August 1832, and was governed by a board of directors composed of businessmen, lawyers and politicians (see Banking in Canada) . The bank’s early years were rocky. There was no common, national currency in Canada until the Bank of Canada was established in 1935; meaning that at the time the Bank of Nova Scotia was created, banks issued their own currency notes. An early dispute arose between the private Halifax Banking Company and the Bank of Nova Scotia when each refused to honour the other’s banknotes. In what became a currency war, the dispute limited each bank’s ability to trade with the other. The prices of imported gold and silver rose sharply as merchants and individuals used these metals as an alternate trading currency. After much haggling, the dispute was settled and both banks began accepting the other's notes. To grow its trade business, the bank entered into agreements with other financial institutions in London, Boston and New York. It also appointed independent agents to act on its behalf in other Nova Scotia	towns. Growth, however, was slow due to competition with the many other banks in existence at the time. Despite this, the Bank of Nova Scotia became the leading bank in the province. Samuel Cunard, founder of the famed British and North American Royal Mail Steam-Packet Company, was an early important client, helping to grow the bank (see Cunard Company). Early challenges continued, however. In 1870, senior management at the bank discovered that the bank’s cashier (akin to a general manager), James Forman, had been stealing funds from the bank since 1844. The total amount came to $315,000 — half of the total shareholders’ equity at the time. This crisis led management to create the first formal rules and regulations for the bank’s operations. To grow the bank’s business outside the province, the Bank of Nova Scotia merged with the Union Bank of Prince Edward Island in 1883. This merger created the second branch of the Bank of Nova Scotia, located in PEI. Meanwhile, the bank opened nine new branches in New Brunswick and a branch in Winnipeg, marking its first time outside of the Maritimes. Bad business led the bank to close the Winnipeg branch in 1885; however, a Montréal branch opened shortly thereafter, in 1887. The first international branch opened in Kingston, Jamaica in 1889, making the Bank of Nova Scotia the first Canadian bank to open a branch outside of the United States or the United Kingdom. In 1895, it opened a branch in St. John’s, Newfoundland. Despite this growth in branches, the bank realized it needed to relocate its general head office from Halifax to Toronto if it was to be a truly national company. This move was approved by the Board in 1899, and the formal move completed in March 1900. The bank continued its expansion in the early 1900s by opening branches throughout the West Indies, including Trinidad and Tobago and Cuba in 1906. Expansion into Western Canada followed, including branches in Edmonton, Vancouver and Calgary, all in 1903, and Regina	in 1906. 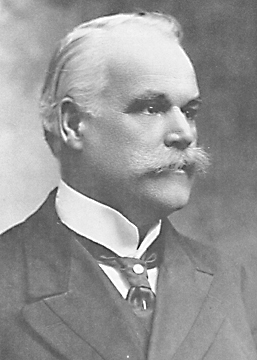 As banking in Canada became more sophisticated, management of the Bank of Nova Scotia became a leader in encouraging more formal business practices. In 1907, the bank was the first in Canada to provide financial statements reviewed by outside, independent auditors, a requirement that would be imposed on all banks with revisions to the Bank Act by the federal government in 1913. In 1910, the Bank of Nova Scotia was the sixth largest bank in Canada, making it a relatively small bank compared to the others. To grow its business more quickly, the bank merged with the oldest chartered bank	in Canada, the Bank of New Brunswick, in 1913. This was followed by a merger with the Toronto-based Metropolitan Bank in 1914, and the Bank of Ottawa in 1919. As a result of these three amalgamations, the Bank of Nova Scotia grew from 97 branches in 1910, to 306 branches in 1923, while total assets grew from $53.5 million to $227.8 million. The bank opened its first branch in London, England, immediately after the end of the First World War. The onset of the Great Depression	forced the postponement of plans to build a new, larger office in Toronto to accommodate its growing size, though it did complete the building of a new office in Halifax	in 1931. Business, however, remained slow through the depression and subsequent war period, resulting in a reduction in total branches. 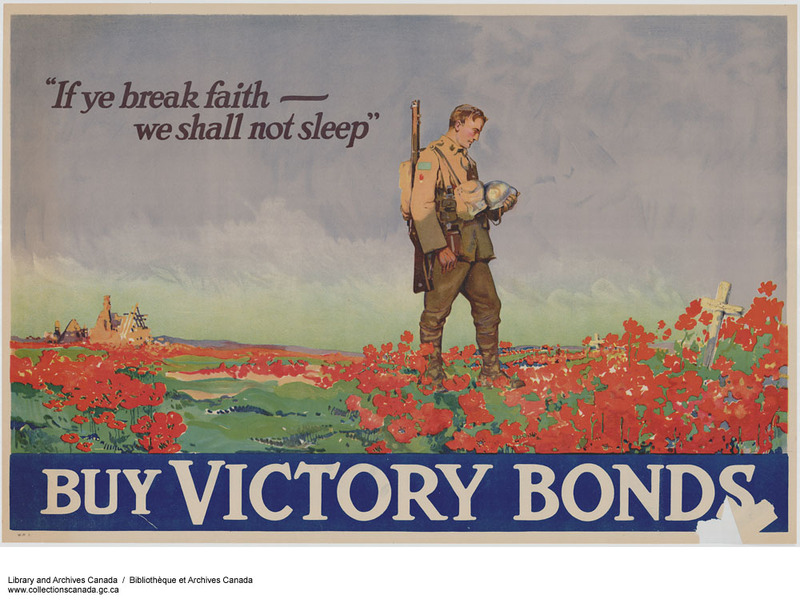 As with other banks at the time, lending to the government to finance the war effort became the bank’s largest growth business. Between 1939 and 1944, the Bank of Nova Scotia’s assets increased by 87 per cent to reach a total of $614 million. However, management was concerned that the bulk of these assets were invested in federal government bonds and not commercial or individual lending. With the war over, the bank’s management took a more aggressive strategy to grow into a truly national institution by opening branches and greatly increasing lending to businesses. By 1950, commercial lending finally became larger than investment in government securities. 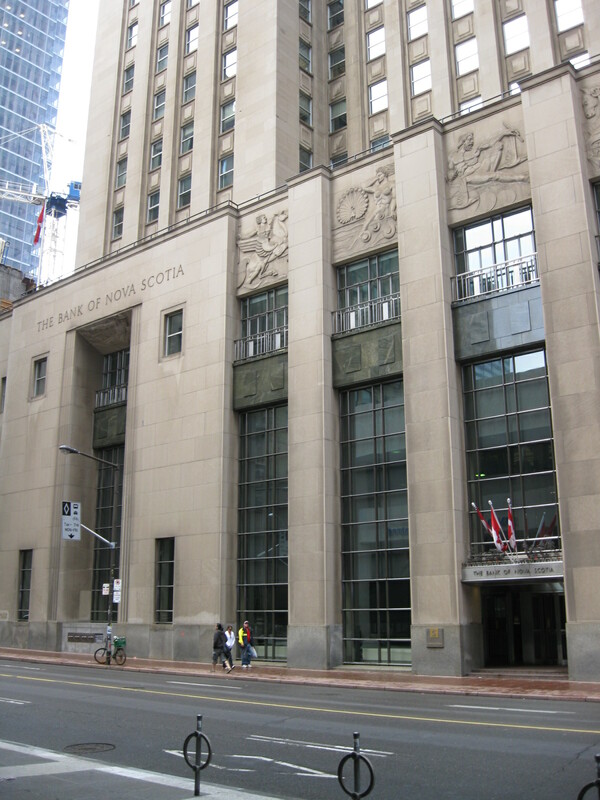 To prepare for its future growth, the Bank of Nova Scotia opened a new and larger Toronto head office in 1951; today, this location remains the bank’s headquarters. The bank was particularly successful in growing its consumer credit operations in the 1950s and 1960s. In the late 1950s, the Bank of Nova Scotia was the first bank to introduce deposit accounts with floating interest	rates linked to the bank’s prime rate (the rate it charges its best customers for loans) — an innovation new to banks in Canada. Called Scotia Plan, the deposit account became popular across Canada and greatly helped the bank grow its consumer banking business. As a result, the Bank of Nova Scotia increased its total market share in the industry from 8.9 per cent in 1950 to 13.6 per cent by 1970. In 1960, the Bank of Nova Scotia introduced a new innovation when it created the first investment for individual depositors that could be held for six years. These investments were sold both by the bank, and through independent dealers who were paid a commission. This would be the first time a bank in Canada had borrowed funds from individual investors for a term longer than one year. In 1961, the Bank of Nova Scotia became the first Canadian bank to appoint female branch managers: Gladys Marcellus in Ottawa, and Shirley Giles in Toronto. The Bank of Nova Scotia also began developing an expertise in the gold market in the 1960s. It began its foray into this new business in 1958 through a partnership with Samuel Montagu and Company of London, England. The bank would soon become known for its skill in trading in the gold and silver markets, a profitable niche business. By the early 1970s, the Bank of Nova Scotia was Canada’s leading international bank. In 1971, its foreign currency business had become almost two-thirds as large in dollar value as its Canadian business, growing at an annual rate of 20 per cent between 1965 and 1971 (see Exchange Rates ). In addition, foreign assets of the bank were almost 50 per cent of its total assets. 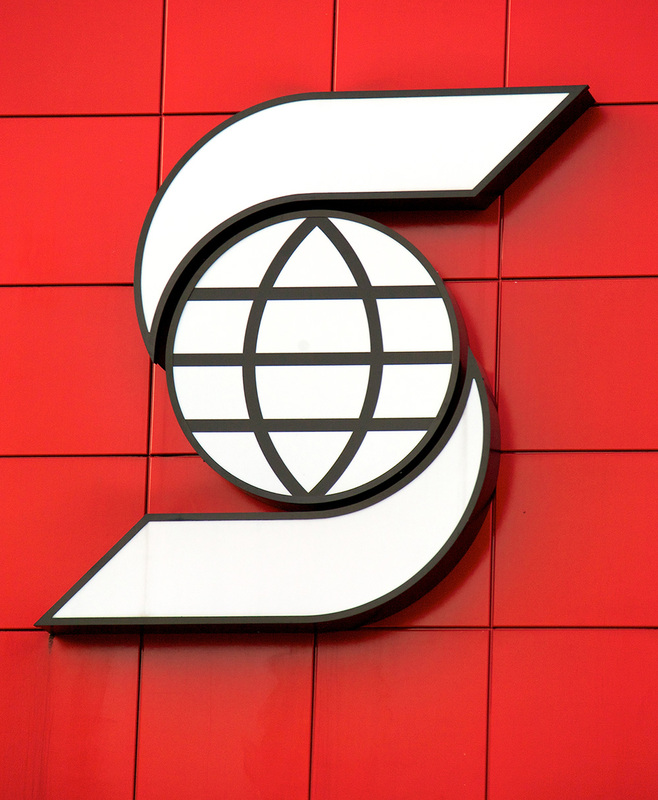 In 1975, the bank introduced its new logo — a stylized S with a globe in the centre — and Scotiabank became the operating name of the bank around the world. By its 150th year in 1982, Scotiabank was truly international and had total assets of $50 billion. The Bank Act was amended in 1987 to allow banks to own controlling positions in stock brokerage companies (see Stock and Bond Markets). Scotiabank responded by creating a new subsidiary, Scotia Securities, to act as its stock brokerage firm. Then, in 1988 it bought the stock brokerage firm McLeod Young Weir Limited (founded in 1921) and merged it into Scotia Securities, later renaming it ScotiaMcLeod Inc. In 1995, ScotiaMcLeod was incorporated into the capital markets business of the bank. The group was renamed Scotia Capital in 1999, when it was further merged with the corporate banking business. After purchasing the Mexican financial group Grupo Financiero Inverlat S.A. in 2000, and Waterous & Co. in 2005 (an oil and gas financial firm), the combined group became the Global Banking and Markets division of Scotiabank in January 2012. To grow its domestic banking operations, in 1994 Scotiabank bought Montreal Trust Company from Power Financial Corporation of Montreal (see Power Corporation of Canada ). The bank followed this by acquiring the National Trust Company of Toronto in 1997. As the first Canadian bank to import gold into Canada in 1893, Scotiabank reinforced its operating position in the gold market in 1997 when it purchased the oldest and largest London-based gold and metals dealers Mocatta Bullion & Base Metals from the Standard Chartered Bank. 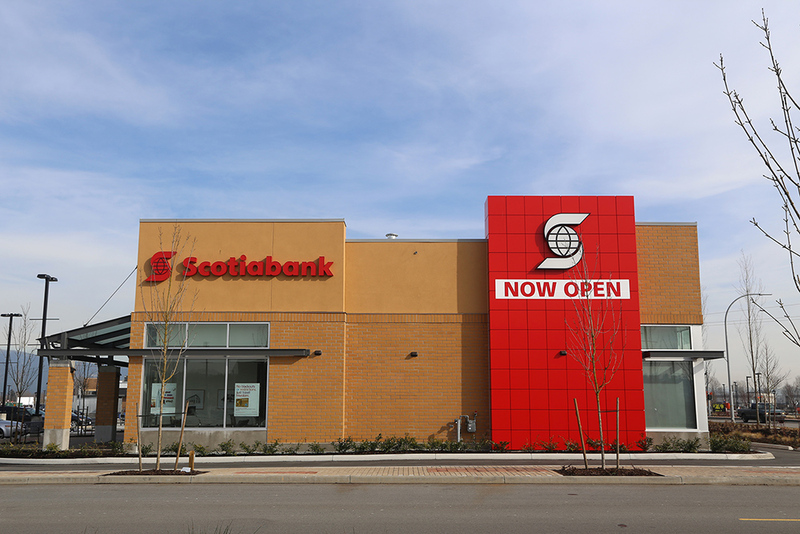 The operation was renamed ScotiaMocatta and the purchase reinforced the bank’s position as the leading bullion bank in Canada. To grow its presence in wealth management, in 2008 Scotiabank purchased the online discount brokerage firm ETrade Canada from its US parent company for US$444 million. That same year, Scotiabank purchased Sun Life Financial’s 37 per cent ownership position in CI Financial Income Fund — one of the country’s largest mutual fund companies — for $2.2 billion. Unable to gain further control, Scotiabank decided to sell its investment in CI Financial into public hands with a bought deal in 2014 (whereby a group of stockbrokers agree to buy all the shares and immediately sell them to their investors). In the interim, in 2011 Scotiabank purchased all of DundeeWealth Inc., one of Canada’s largest independent wealth management companies and manager of the Dynamic family of mutual funds , for $2.3 billion. It had previously purchased a smaller 18 per cent minority stake in 2007. Between 2005 and 2015, Scotiabank made several strategic acquisitions of small regional banks throughout Latin, Central and South America. The strategy was to grow its banking presence outside of Canada and into these regions. As a result, the bank is represented in countries such as Chile, Peru, Costa Rica, Panama, Mexico, Colombia, Brazil, Uruguay, Puerto Rico, Guatemala, Dominican Republic, and Jamaica. In 2012, Scotiabank purchased ING Direct Canada, established in 1997 as one of the original branchless, online banks in the country, for $3.1 billion. It would be operated as a separate company and was renamed Tangerine Bank in April 2014. The transaction brought with it Canada’s 8th largest bank’s $30 billion in retail bank deposits, 1.8 million customers, and 1,100 employees into the Scotiabank corporate family. In May 2018, Scotiabank acquired Jarislowsky Fraser Ltd., a Montreal-based investment firm, for $950 million, paid mostly in bank shares. The agreement brought more than $40 billion in assets under management to Scotiabank, bolstering the bank’s wealth management business line. That October, it acquired MD Financial Management, a firm serving Canadian physicians and their families, from the Canadian Medical Association for $2.6 billion. The deal brought more than $49 billion in assets under management to Scotiabank. Over the course of 2018, Scotiabank also announced acquisitions from banks in Peru, Colombia, Chile and the Dominican Republic to increase its presence in those countries. ScotiabankThe website for Scotiabank. Offers an online guide to products and services, current rates and other financial news.